I have a Vector Research VR-7000 in perfect pristine condition in the original box! Will be glad to send pics. I purchased it new at Custom Hi-Fi in Richardson, Tx in approximately 1974-1975 as my first quality audio equipment after graduating from high school. I used it until around 1999, then put it back in the box. It has always performed perfectly. I would love for someone who appreciates it’s vintage quality as the 2nd owner. I will follow any follow-up comments to see if there is any interest. Is your VR-7000 still available? Hi Keith,if you still have it, let me know how much you asking for. Do you still have the VR-7000 by chance? I’m very interested! Hi Keith, is your VR 7000 still available? I’m very interested! Thanks! 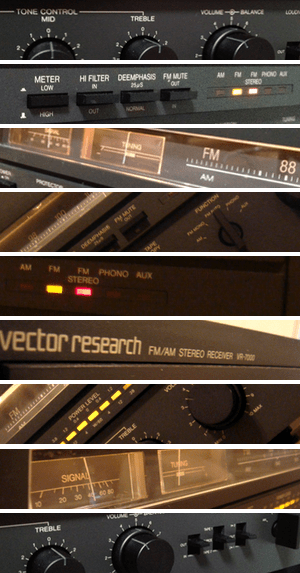 Do you still have the Vector Research VR-7000. I live in McKinney. Please advise. Hi, sorry these items are not for sale, but feel free to post a comment and reach out to the peoples – there is likely someone out there with one. I have a very good…really…very very good condition VR7000 that I would be willing to finally part with. Love it…but time to move it along if you are interested. Do you still have the VR-7000? Very interested! Hi Keith, is your VR 7000 still available? Very interested! I have a VR 7000 and I would like to get a another one for my son. If you still have the unit ,please let me know the sale price that is in your mind. I am in search of a receiver to replace my old VR model and would love to talk to either of you further about purchasing your VR7000. If you’re still looking for a buyer, reply to this post and let’s chat. HOw do you interpet the date code and how do I know if it was built by NEC or Crown? Can a current CD player (2018) be hooked up to a Vector Research VR 7000 ? Did that VR7000 ever move?